HAPPY FEAST OF ST. JOSEPH TO EVERYONE!!! What courage it takes to answer God immediately, no questions asked! I am not saying we should make rash decisions, as careful discernment is required at times. But when we are sure that God is calling us to do something, we should not delay fulfilling what He wills. This decision here proves that he really was a just man. He was obedient to the Law and knew very well that any woman caught in adultery was to be stoned to death. On the other hand, he may have seen something special in Mary that made him wonder how she could ever commit a sin. He knew her goodness and purity and truly loved her, so he did what was best for her. Something we can take from this is to love others for WHO THEY ARE. The more we understand human dignity, the easier this becomes. 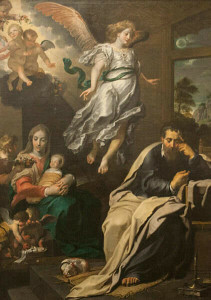 Similar to Our Lady, St. Joseph was close to Jesus and so knows him very well. We can go to St. Joseph to better learn how to imitate Christ. 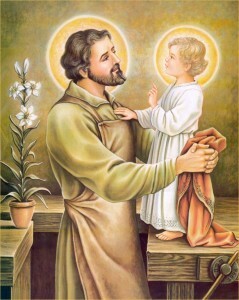 St. Joseph, pray for us!! !